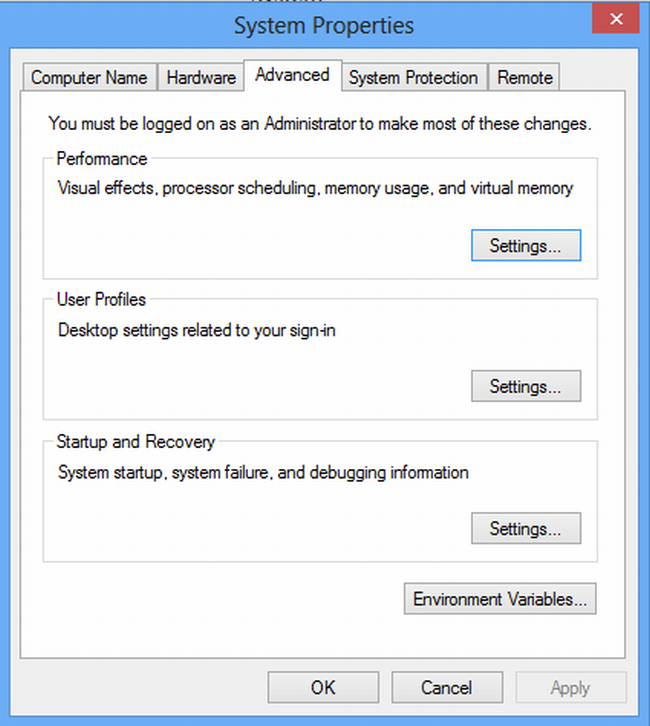 This article describes How to Use of Environment Variable in Windows 8. 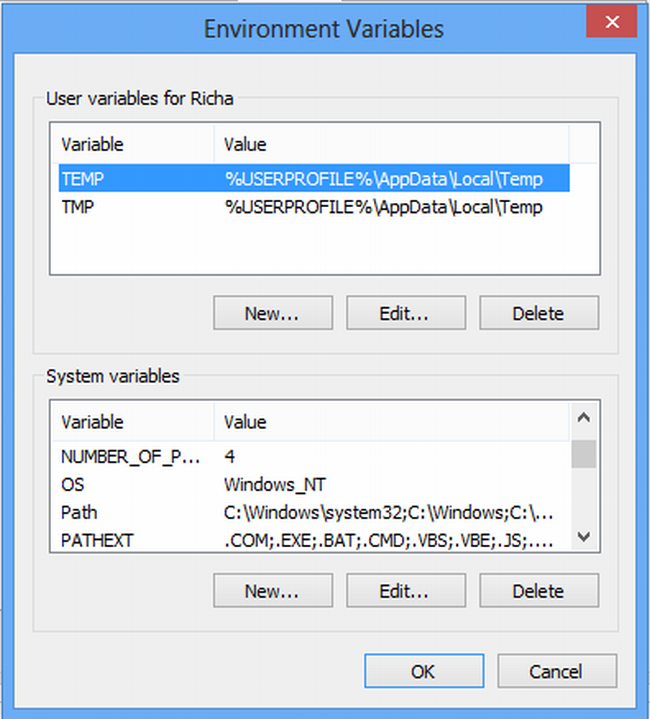 In this article we are explaining how to add Environment Variables in Windows 8. Environment Variable preference items allow you to create, update, replace and delete user and System Environment Variables or semicolon delimited segments of the path variable. If you installed any software kit such as SDK on your Computer, some require a few changes in the settings before program execution. The DOS Operating System provided Environment Variables, all versions of the Windows Operating System provides them and Windows 8 also provides Environment Variables. If you restart your System then you need to set all settings from the begining. If you want to solve this problem then you need to use Environment Variables in the Control Panel. Move the cursor to the bottom-right and select the search box and enter into the search box what you want. In the search box, you can type the name "Control Panel" and click on the Control Panel. In the Control Panel, you click the drop-down menu arrow in the category tab and select "Large Icons". Then click on System. 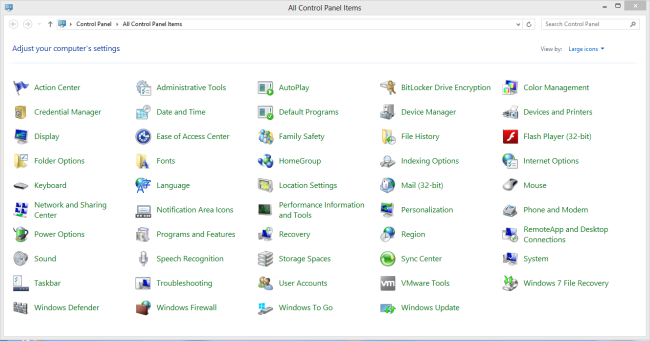 In this step, you click on the "Advanced System Settings" in the left pane of the window. In this step, click on the "Advanced" tab and click on the "Environment Variable" Button. In this step, you will see the Environment Variable Window. If you want to edit the path Environment Variable then click on the edit Button or click on path under System variables. In this step, you enter the variable path and click on the OK Button.